Experience and knowledge sharing with experts from the public institutions and commercial biochar manufacturers. Witness the real-time biochar production process at the pilot plant. 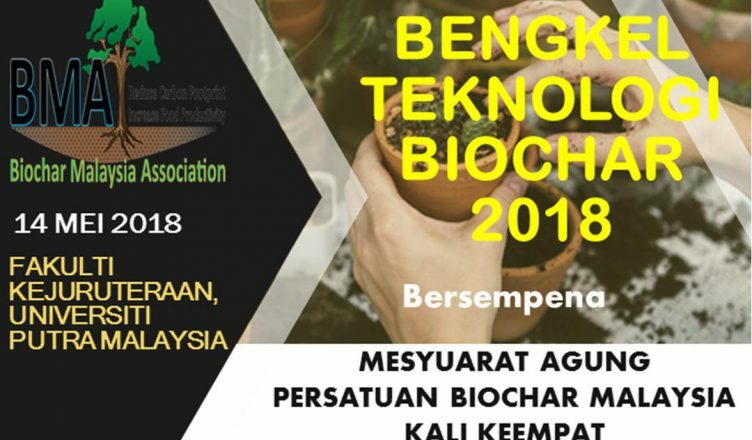 This event also serves as a platform to connect and to promote the interaction between biochar manufacturing industry and farmers, users, or researchers. Kindly contact our secretariats for participation registration at biocharmalaysia@gmail.com. 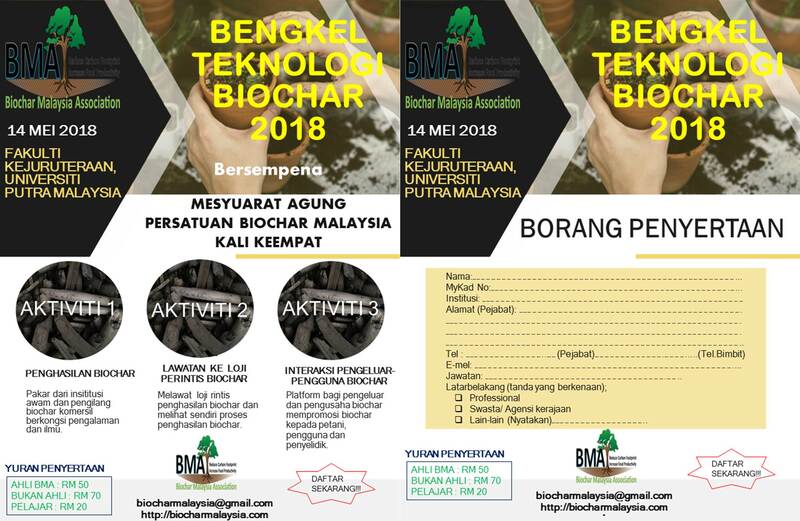 The 4th Annual General Meeting and Biochar Technology Workshop 2018 to be carried out at the Faculty of Engineering, UPM.